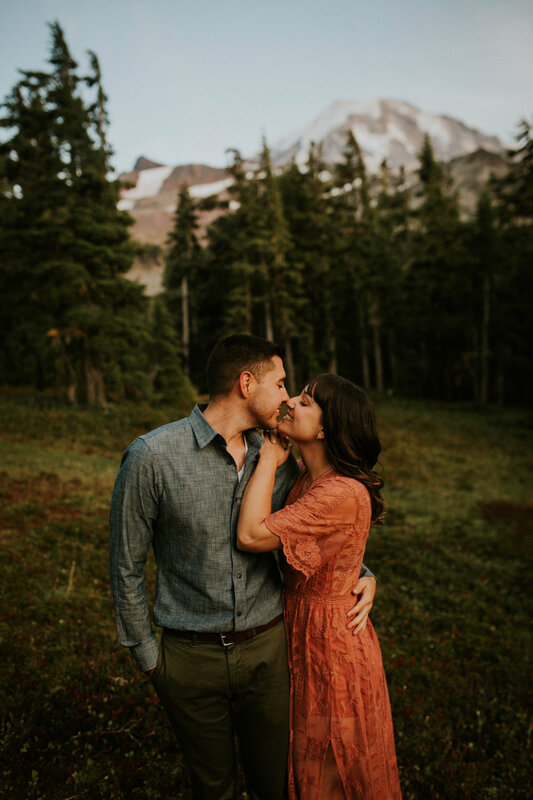 Joe and Jess met when they both moved to Seattle several years ago! They were both new to the city so they joined E harmony. 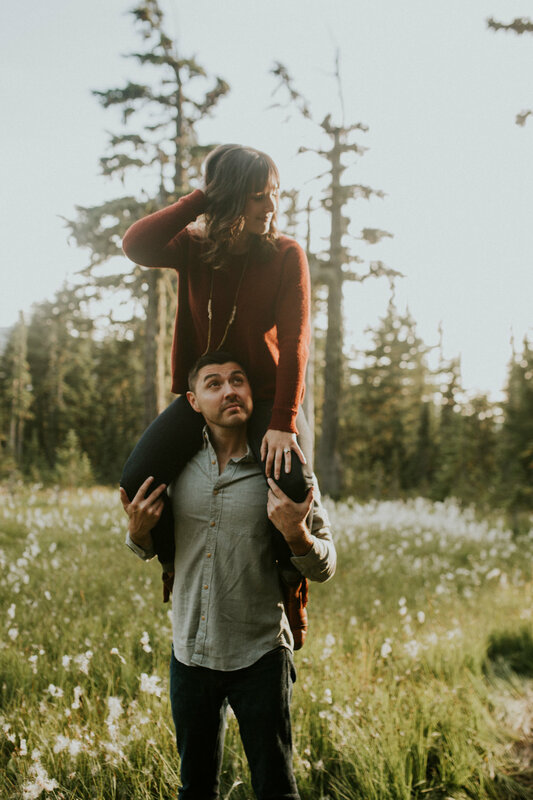 Their first date was seeing Wicked The Musical at the Paramount downtown! The date went amazingly, and they both knew that there was something special there!. 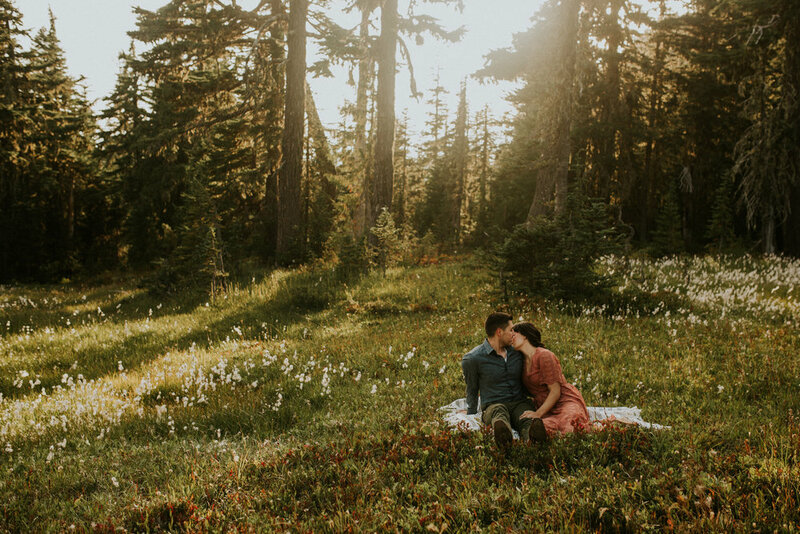 So Joe and Jess got engaged a while ago. Joe was planning the perfect proposal, but he could never get it right in his head. He kept coming up with extravagant ideas and plans just to scratch them because they didn’t feel right. 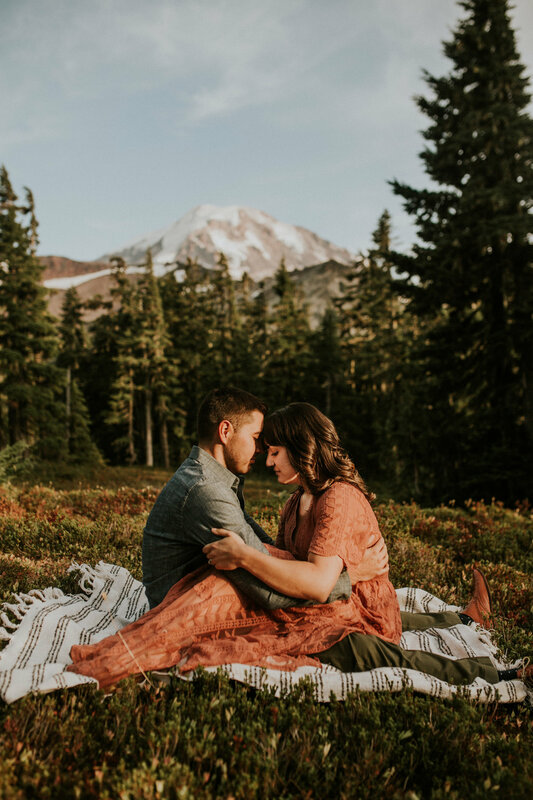 Finally he decided to propose to on a hike. 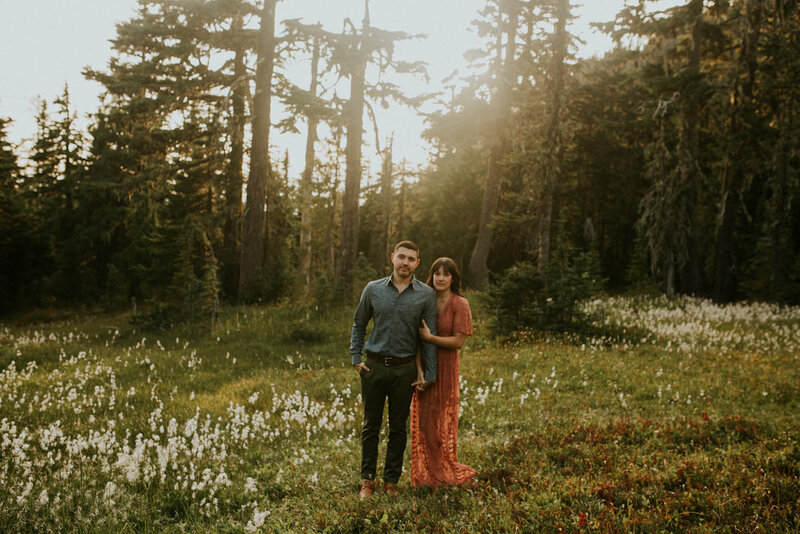 They hiked up in the dark, and as the sun rose, he dropped to one knee and popped the question! She of course said yes! 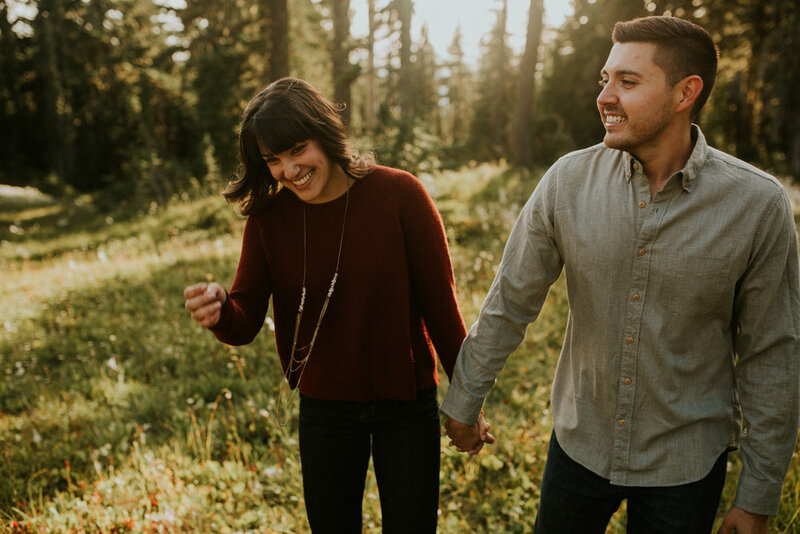 These guys are planning a wedding on a gorgeous farm. 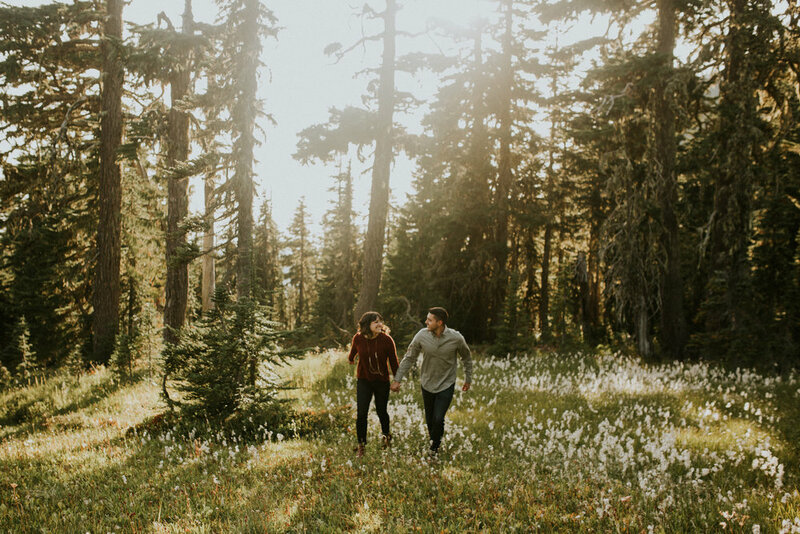 They’re planning on getting married in a gorgeous field, and having their reception in a rustic barn. Both things I highly recommend doing! The thing I am probably most excited about is the mini pies that they plan on having at the reception! 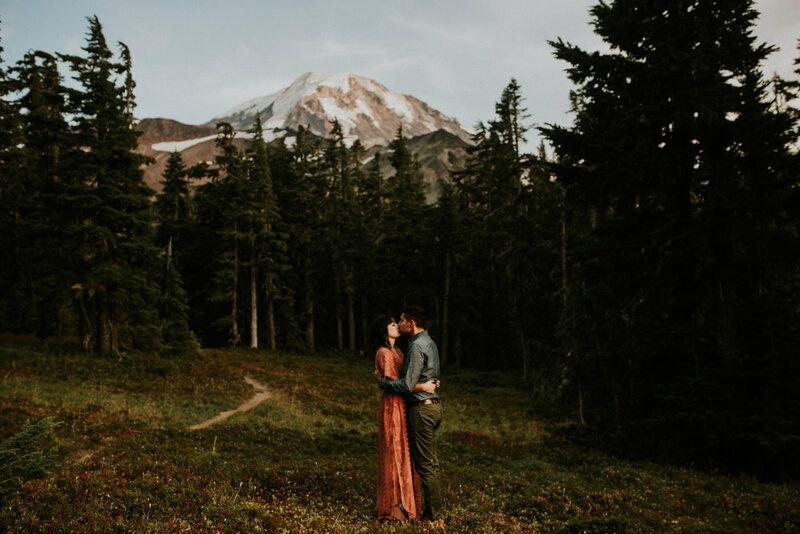 We picked Chenuis Falls trail for their engagement photos as it has their favorite view of mount Rainier ever! The hike was about 6 miles long, but we made several stops along the way in the woods and at the smaller Granger Waterfall. 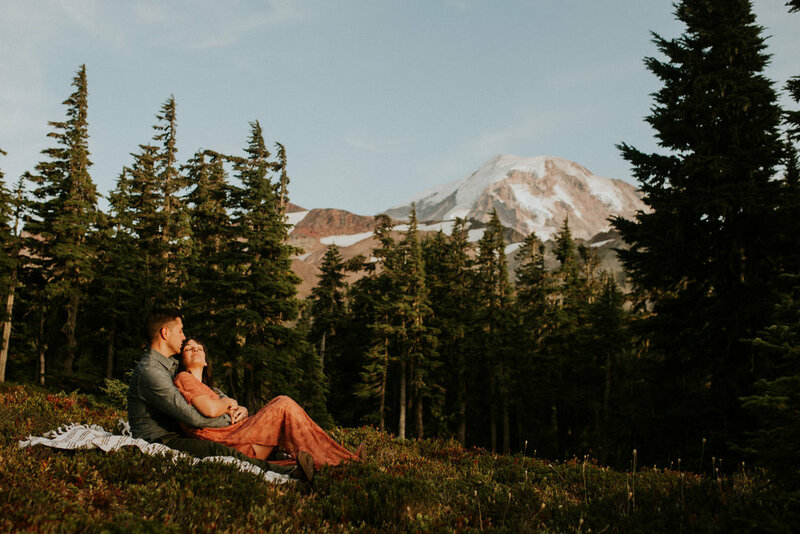 We finally made it to the viewpoint and fount a gorgeous meadow full of flowers and an AMAZING view of Mount Rainier. The mountain looked SO BIG, and we definitely took a few minutes to just be in awe of it and gawk. These guys told me that mt Rainier was actually called Mt Tahoma at the beginning, and they changed it a while ago. 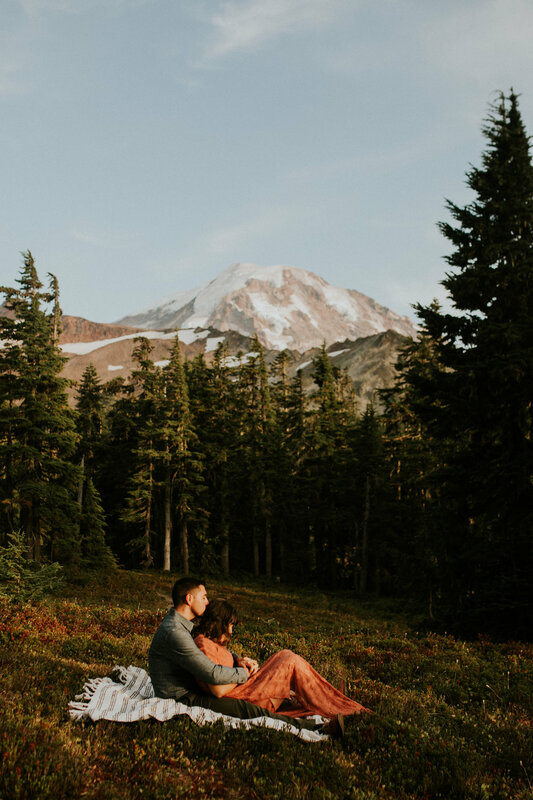 They were also thinking of naming it Mt Tacoma, but I really can’t see either of those names being as awe-inducing as Mt Rainier. It just sounds right! 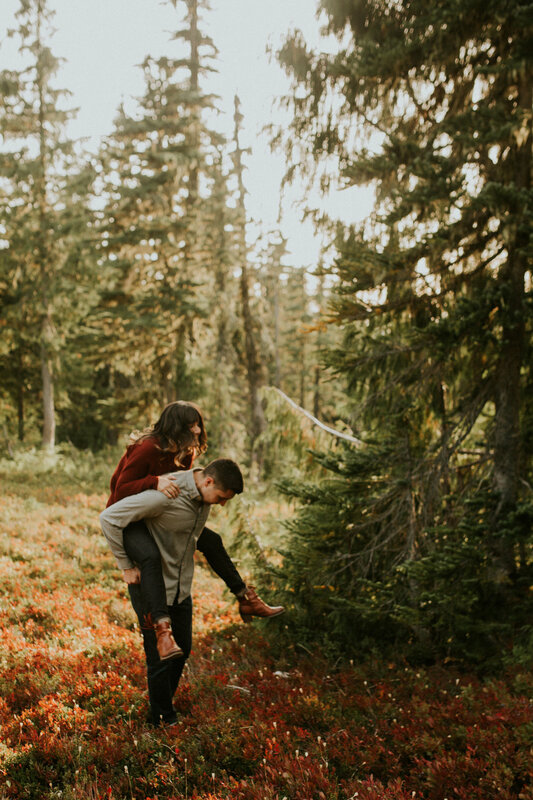 Check out Another forest engagement session here! 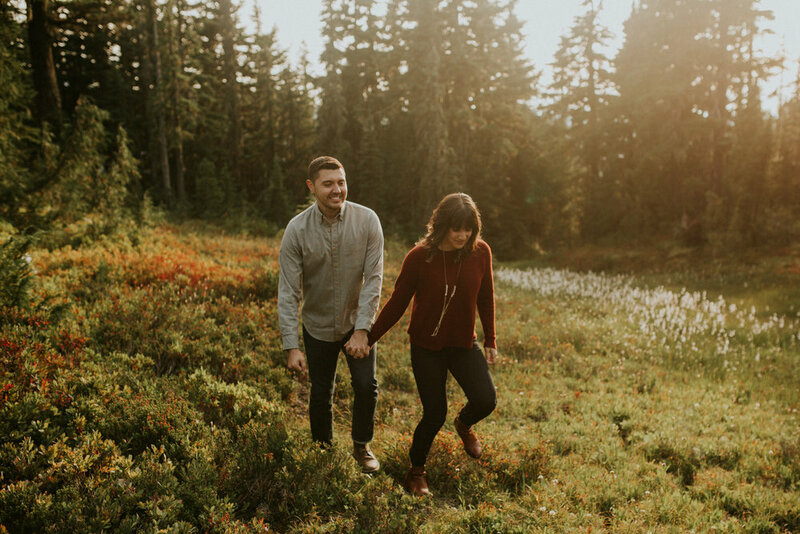 Check out another engagement session here!